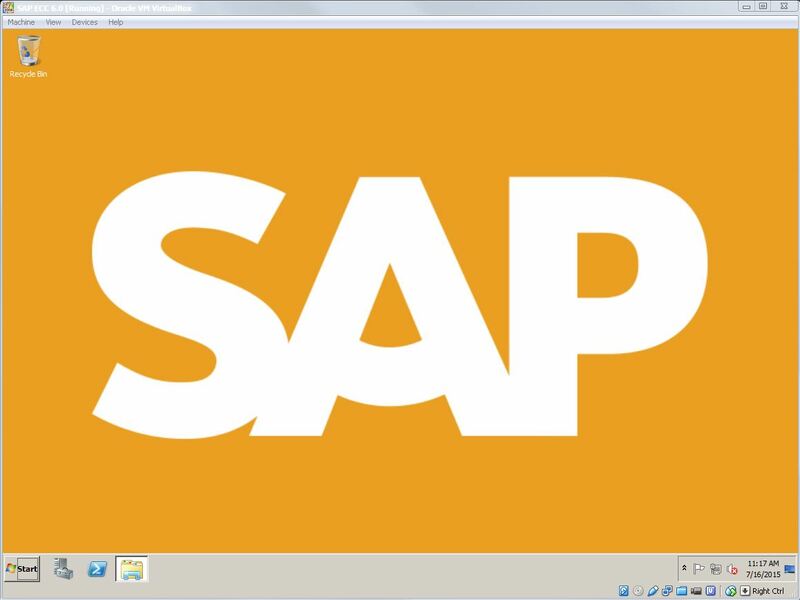 Welcome to the Part 2 of my ‘SAP ECC 6.0 IDES Server’ series in which we are undertaking the effort of setting up our own personal SAP server. In this installment, we will continue prepping our Virtual Machine. In Part 1, we procured the required software and started the setup of our VM. If you’re just joining this series, I suggest you go back and review the preceding articles (Part 1) to get caught up. Living dangerously with the Firewall Off. 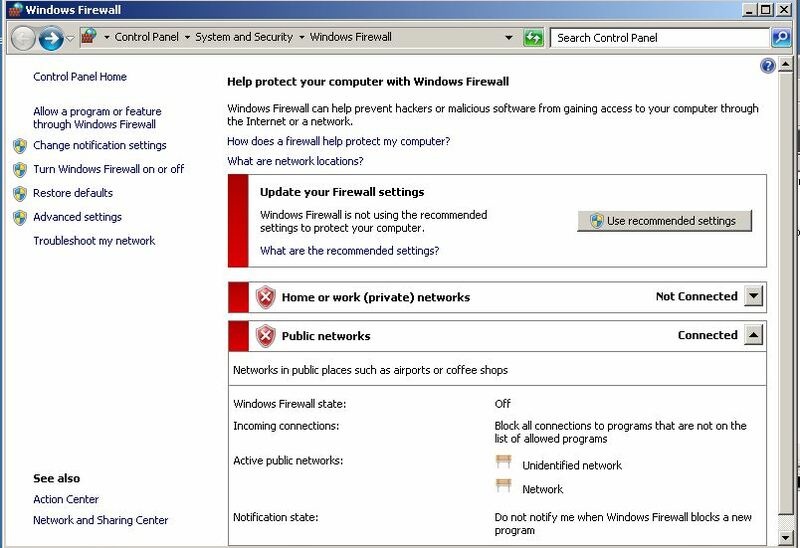 Within your VM, search for “Windows Firewall” and find the setting to turn this off. I am not sure why this is required, but have read this in several places. Since I’m installing this in a VM, I’m not overly concerned with turning the firewall off. NOTE: This should be done for both your VM and your Host computer! Use the Start Menu to search for Automatic Updates. Turn this feature off during the rest of this process. The installation take a LONG time and the last thing you want is Windows deciding that it needs to restart in the middle of your software installation. Trust me. My System Details after renaming the computer to ‘SAPECC6’. Searching for ‘Rename’ in the start box and select the ‘Rename this Computer’ option. In the resulting pop-up, click the “Change…” button. Update your computer name. Click ‘OK’ when finished. You’ll need to restart the VM for the change to take effect. Just keep the name short — 13 characters or less, from what I’ve read. I would also avoid any special characters to keep things simple. I’m changing mine to ‘SAPECC60’. I won’t go too much into details around the LOOPBACK adapter — mostly because I don’t know much about it. I only know that it is required for setting up a stand-alone SAP installation. I assume that SAP relies on certain network resources during its installation and the LOOPBACK adapter provides this. Select your computer name by single-clicking on it and select ‘Add Legacy Hardware’ from the Actions menu. Click’ Install the hardware that I manually select from a list(Advanced)’ and click ‘Next’. 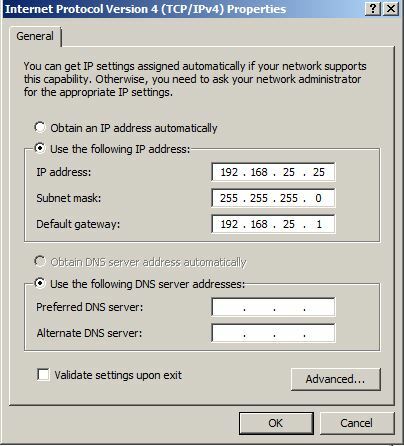 On the next screen, select ‘Network Adapter’ and click ‘Next’. Select ‘Microsoft’ as the Manufacturer and select ‘Microsoft Loopback Adapter’ from the list on the right. Click ‘Next’ and complete the installation. You can close the Device Manager and the Control Panel. Start –> Control Panel –> Network and Internet –> Network and Sharing Center –> Change Adapter Settings. My Loopback Properties with updated IP Address. 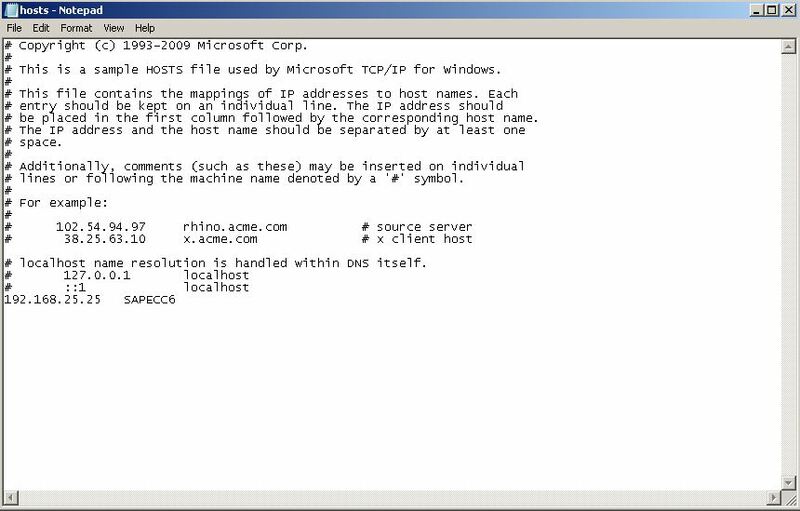 Right-click the ‘Microsoft Loopback Adapter’ and click ‘Properties’. Double-click on ‘Internet Protocol Version 4’. Click ‘OK’ and ‘OK’ and close the Control Panel. My VM’s Snazzy Desktop Background. I put a nice gold colored SAP background on my virtual server desktop. While this is totally an optional step, it does help to distinguish the server window from other windows which may be open on your host system. 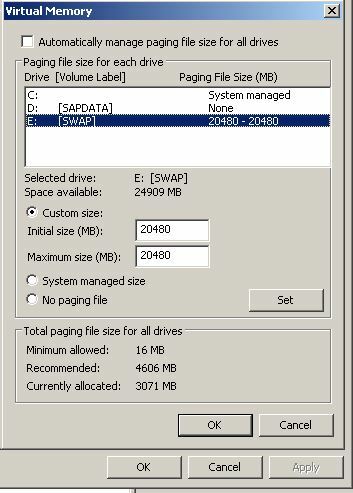 A 25 Gig partition called ‘SWAP’. I created this out of the leftovers on ‘Disk 0’. 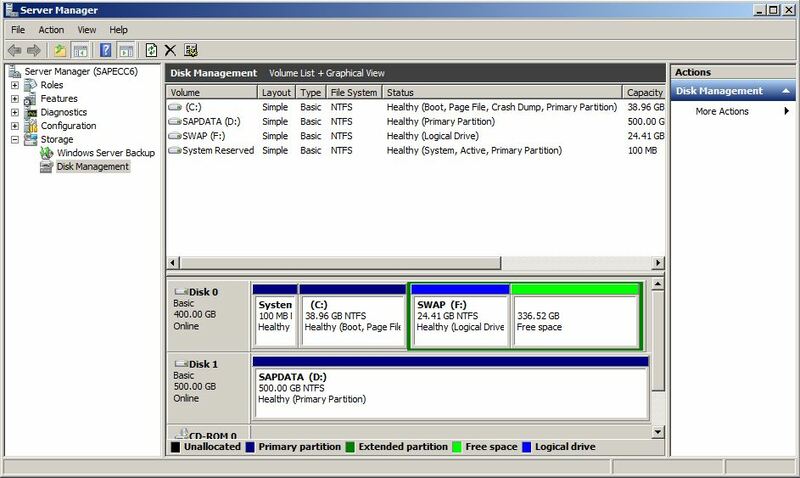 A 500+ Gig partition from ‘Disk 1’ labeled ‘SAPDATA’. Just a note that when all is said and done, my setup — including multiple snapshots — totals about 390 gigs. Thankfully, storage is cheap these days. What my Virtual Memory settings look like. Go to ‘Start’ and right-click on ‘Computer’ and select ‘Properties’. Click the ‘Advanced System Settings’ button. Click ‘Settings…’ in the ‘Performance’ section. Select the ‘Adjust for Best Performance’ option. Click ‘Change…’ in the ‘Virtual Memory’ section. Click the ‘Set’ button, then click ‘OK’ and ‘OK’. You will be prompted to restart the system which I recommend. Shut down your VM if it is currently running. In your VM settings, click on the ‘Shared Folders’ node. Click the “+” icon to add a new Shared Folder and choose the folder on the host machine which contains (or will contain) your SAP Installation files. Give it a name and check the ‘Auto-mount’ option and then ‘Ok’. 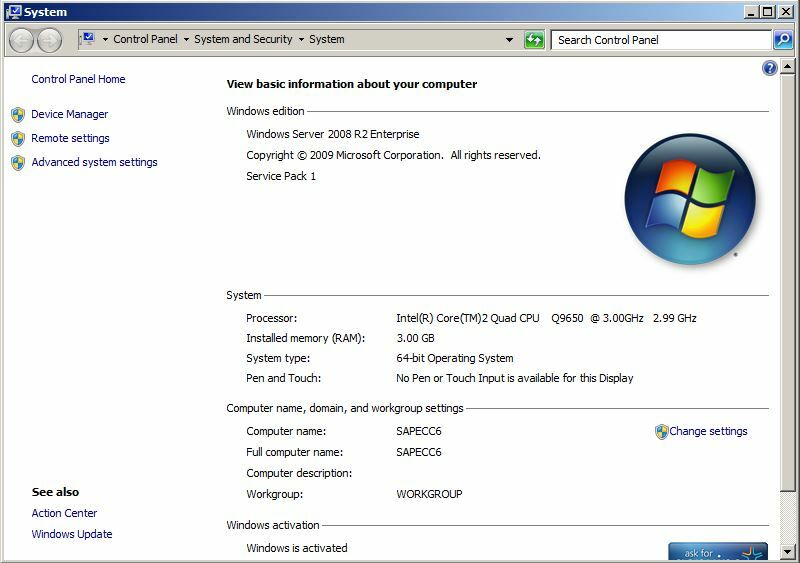 From the VM Menu on the top of the screen, select Devices –> Insert Guest Additions CD Image. You should now see a new “DVD” in your VM called “VBOXADDITIONS”. In the Root of that DVD, run the VboxWindowsAdditions… executable which corresponds to your system (32- or 64-bit). When completed, reboot your VM. You should now see your ‘Shared Folder’ in Windows Explorer setup like a network drive allowing access to your host machine files. 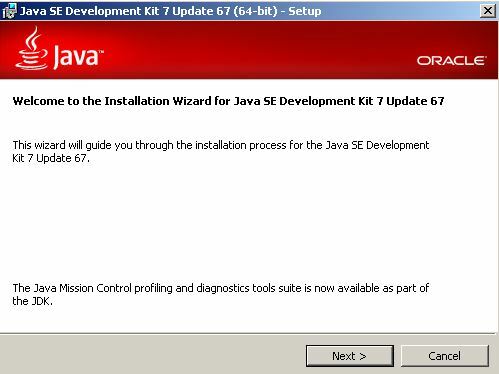 Prior to installing Oracle and SAP, you’ll need to install the Java SDK. 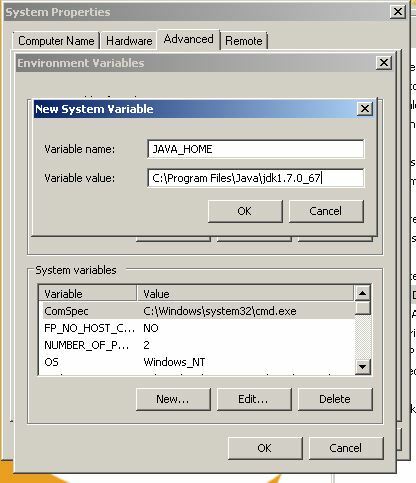 Launch the Java installation file mentioned earlier in this article and complete the installation using the wizard. You should be able to install using the default options. 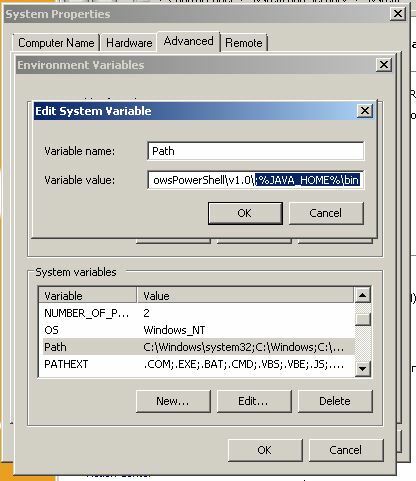 Next, find the existing variable named ‘Path’ and click ‘Edit…’. Why not?! 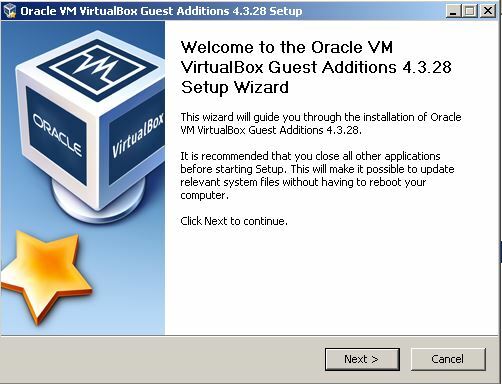 As we did in the last article, it’s a great idea to take a snapshot in VirtualBox. It only costs a little bit of disk space, but can save a whole lot of time. Also, once your server is running and stable you can always go back and delete any of your snapshots. In this article, I covered how I completed the server preparation. I’ve now set the stage for the main event: database and application server installation which will be covered in Part 3. Hi Michael, in general how long did the whole installation process take? From the point of database and application server installation. How many hours exactly?